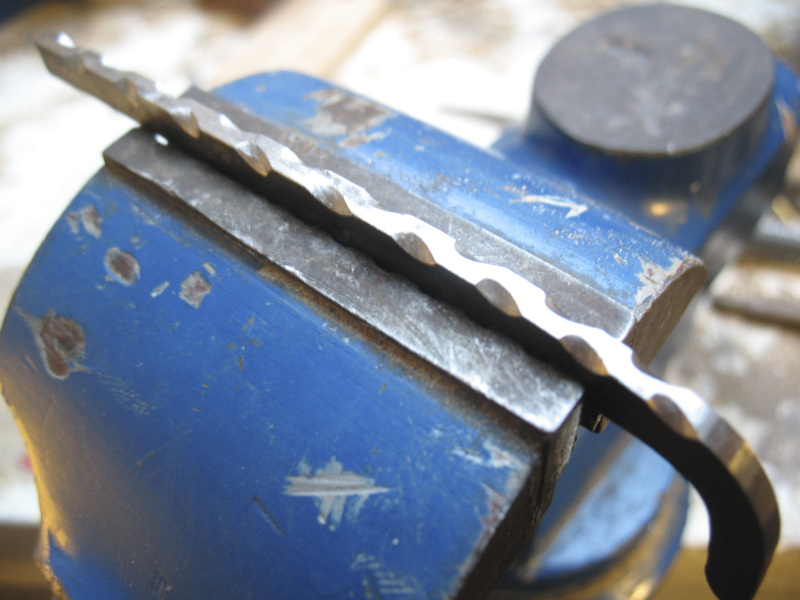 The next step in creating the handle for the pocket knife was to glue the wood pieces to the metal pieces using epoxy. Then leave it alone for at least a day to fully cure. 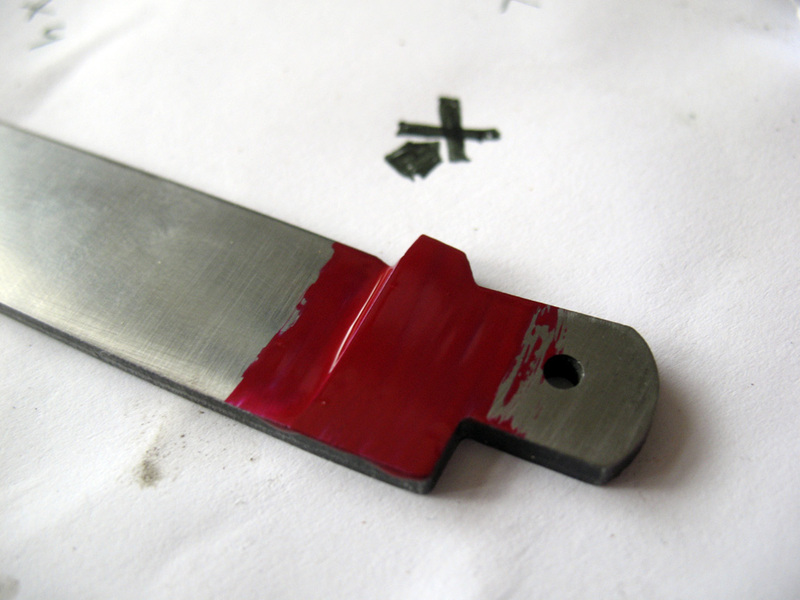 In the meantime I etched a logo on the blade using electricity and an acid-salt solution. Nail polish is used to protect the steel and the logo was created by removing nail polish with a pencil or small scredriver. I have seen knives that have the spine viled with decorative designs so I decided to give that a go as well. Carefully measuring the spine and putting marks where to vile. There's no "undoing" when you start this. Next step will be to shape the handle and drill the holes for the steel rods that will keep everything together.